Just like with R.E.M.’s reissue earlier this month, some of the best alternative albums of the pre-grunge boom are getting rereleased with fidelity upgrades and some bonus material added to them. On one hand it can make you feel a little older, but hearing some of your favorite albums in a better quality and getting additional songs from the same period are enough to snap you back to when you first heard it. 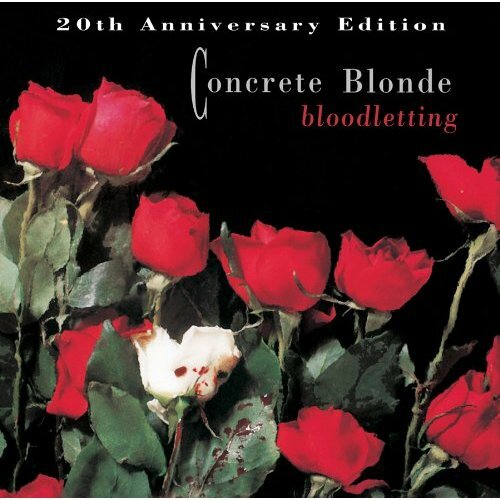 Such is the case with the 20th Anniversary Edition of Bloodletting by Concrete Blonde. Not only does this amazing album finally get the remastering treatment, it also contains six bonus tracks that makes this reissue a must have for Concrete Blonde fans. In my opinion, Concrete Blonde is one of the absolute best bands to come out of the late 80’s/early 90’s and they are criminally underrated. Johnette Napolitano’s husky vocals are as powerful in her whisper as they are in her howl and she plays a mean bass too. James Mankey’s guitars have some of the coolest tones of that era and his versatility between atmospheric chords and wailing solos is as impressive as it is fun to listen to. Rounding out the trio, Paul Thompson plays powerful punk rhythms to laid back grooves with equal precision and feel. When I was starting to learn guitar, Bloodletting was one of the albums I would constantly play along with and each time I got a new guitar pedal, I would try to make sounds with it that I thought James Mankey might go for. On top of all that, Bloodletting contains “Joey,” one of my absolute favorite songs of all time. 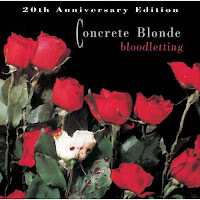 The bonus material on the album is a really cool treat for Concrete Blonde fans. Although four of the songs can be found on their Caroline EP, the other two songs have been harder to get a hold of. The four songs from Caroline are live versions of “Roses Grow,” “The Sky Is A Poisonous Garden” and “Tomorrow, Wendy,” as well as a mind-blowing studio cover of Jimi Hendrix’s “Little Wing.” For the other two songs, there’s “I Want You,” which was originally a B-side to the “Joey” single, and an interesting French version of “Bloodletting (The Vampire Song)." Instead of just taking the original backing tracks and recutting the vocals in French, the whole song has new elements, including thunder, rain and church bells added to the intro, a heavier bass track, French vocals and an overall Nine Inch Nails industrial vibe to it. It’s pretty cool to hear the song in two different versions for two different markets. The great bonus songs, along with the successful remastering job, make this album worth picking up. Even if you already own the original, it’s nice to hear such an extraordinary album get a sonic tune-up that makes it sound even more fantastic than you remember it.